If you're the early adopting type living in an Apple ecosystem, you probably upgraded to iTunes 11 almost as soon as the bits reached the servers. You might not have noticed that Apple gave its iOS Remote app and Apple TV firmware shots in the arm to match. Of the two, Remote 3.0 is the larger update and brings a simpler UI that also takes advantage of iTunes' new Up Next feature to add or prune out songs in ongoing playlists on a host computer. 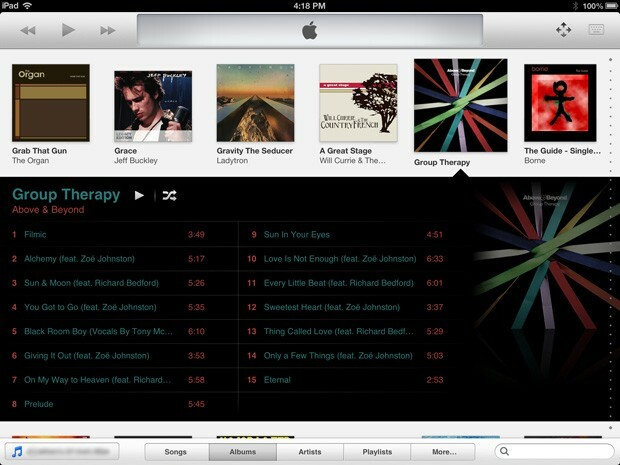 iPad owners reap the most rewards -- the album view now expands in place to quickly drill down to a specific track. Apple TV viewers aren't quite so coddled, although they too get Up Next support for iTunes 11 (and iTunes Match) as well as the usual rounds of speed-ups and bug fixes; we imagine a solution to some of the troubles with 5.1 is part of the package. No matter which update fits into your vision of musical harmony, you'll find details at the source links.